Hello Rubber Cafe fans! 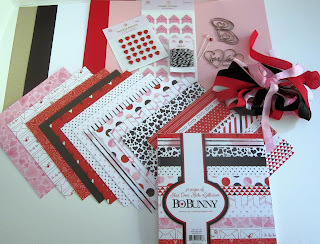 - Its the most wonderful time of the month .... Sneak peaks for next months kit "For the love of Cats and Dogs"
I don't know about you but I think these kits just keep getting better and better! You requested it we did it . 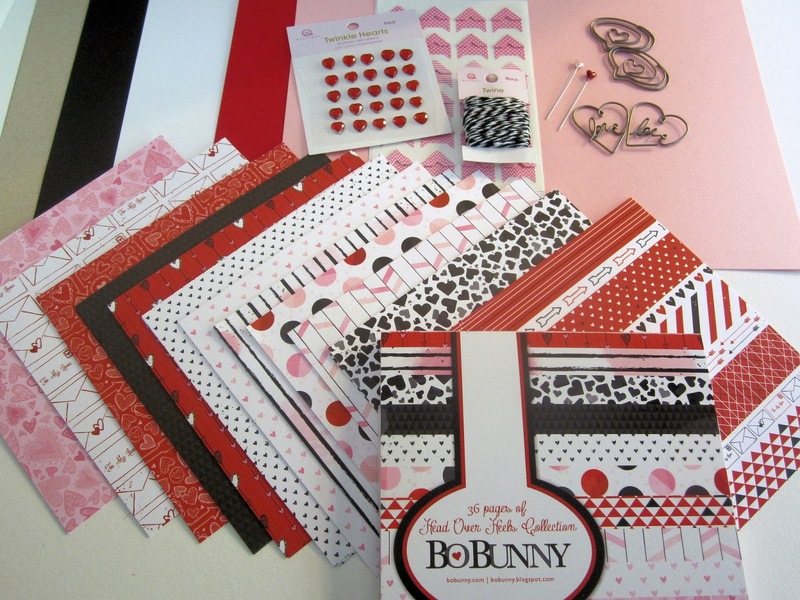 With each months kit you receive the full 6x6 pad paper collection. 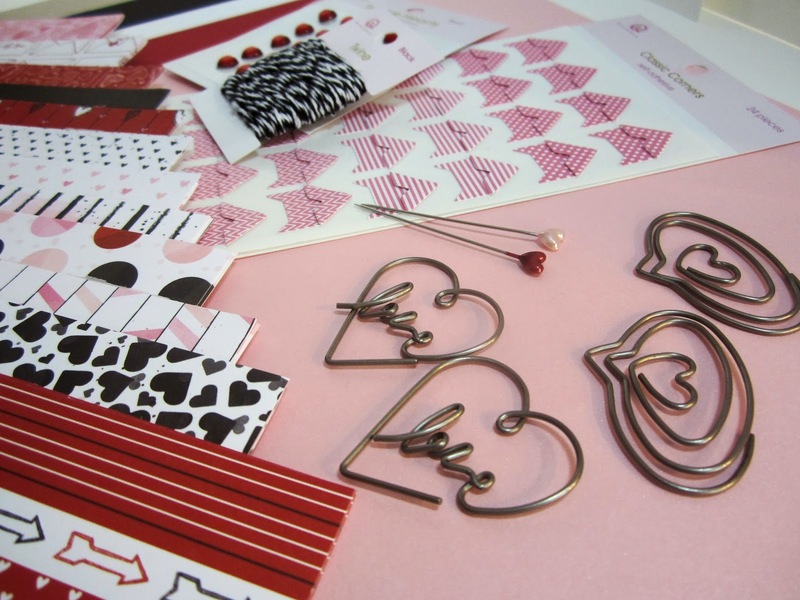 Besides the papers we've provided you with plenty of embellishments and ribbons, all coordinating giving you tons of options for all those favorite people on your card-giving list! 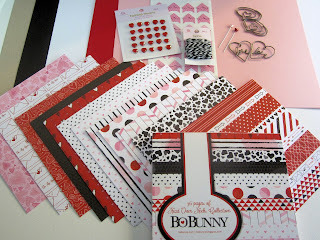 This new set will put you in the mood for Valentines ... for sure . 1 Full Package of Black and White twine from Queen and Co. 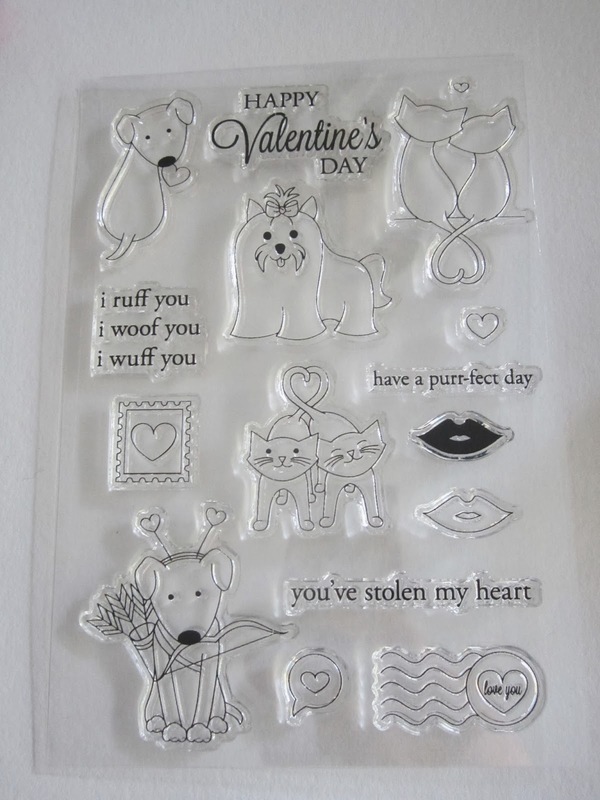 Here's a look at the Stamp set that comes in the kit - check out those cute dogs and adorable cats and if that's not enough sweetness for you take another look .. Those adorable hearts and lips are going to make great background papers and that postage mark .. and stamp .. each one of these images are going to be a lot of fun to color . 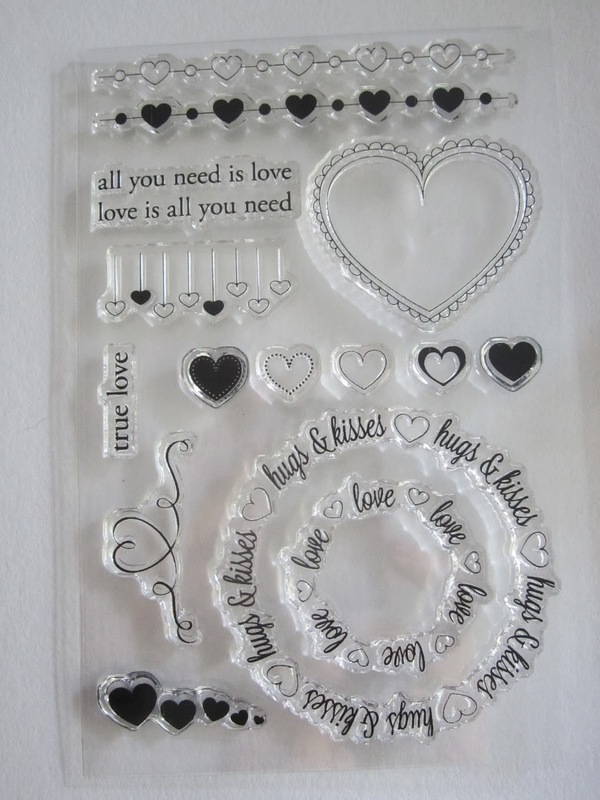 And don't forget this adorable add-on set also available for $9.99 .Valentines elements will work well with your Circle dies and punches that you already have , these would be beautifully stamped with glitter or colored inks .. I can not wait to see what the Design Team has in store for this kit . 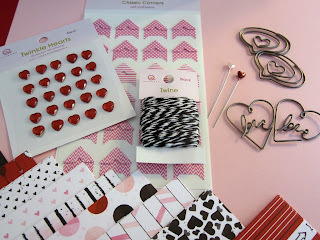 Here is one last look at this months kit .. Do not forget we still have 15 days left this month and there are still tons of projects to go before we start creating with this one .. So do not delay click here to receive this kit Yes I want to sign up . 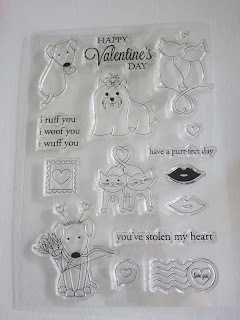 So love this - and looking forward to the furry friends that are included in these 'sweet' stampsets!